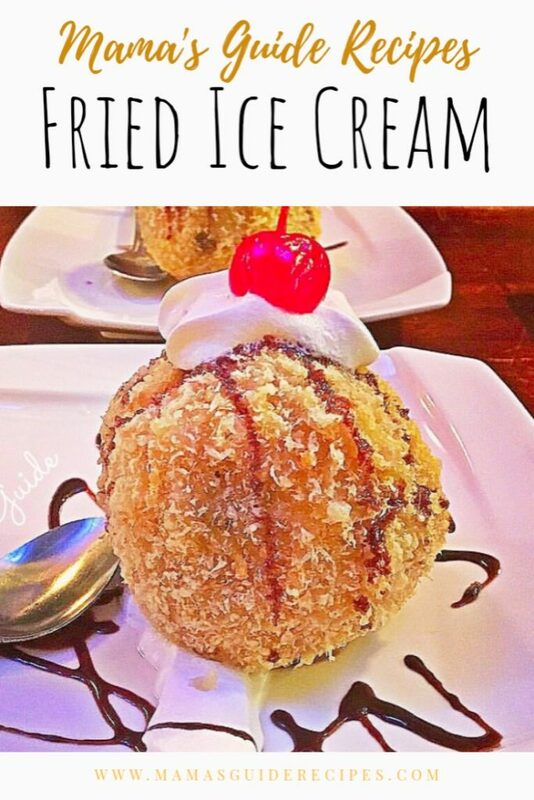 Fried ice cream, it’s a plate of delightness and happiness wrapped within a deep fried, crispy crumb shell and topped with chocolate sauce and a cherry. The chilled vanilla ice cream just melts inside your mouth and goes well with crunchy crispy crumbs covering. Enjoy! 1. Prepare your baking sheet and line with waxed paper. 2. Add a big scoop of ice cream into the baking sheet. Make more scoops. Be sure all of those are uniform in size. 3. To ensure the ice cream is firm before frying, place the baking sheet with slice cream scoops inside the freezer. Let it freeze for 1-2 hours until it becomes harder. 5. Transfer the crushed corn flakes into a bowl, add your flour and coconut flakes. Add cinnamon or sugar. Set aside. 6. In a small bowl, beat the eggs and add 1 tablespoon milk. Whisk it and mix thoroughly. 7. Take out the frozen ice cream scoops inside the freezer and roll each scoops into the crush flour-cornflake mixture. Shape it into ice cream balls. 9. Transfer back each ice cream ball into the baking sheet used earlier and place it back into the freezer. Let it freeze for another 1 hour. 10. Prepare your deep fryer and heat oil. Deep fry each ice cream ball quickly for 20 seconds. 11. Remove from the cooking oil and immediately serve with a drizzle of melted chocolate syrup and cherries on top or whipped cream. Enjoy!